The century spanning the wars of the roses and the reigns of the Tudor kings was a volatile time of battle and bloodshed, execution and unexpected illness. Life could be nasty, brutish, and short. Some met their end in battle, others were dragged to the block, losing everything for daring to aspire to the throne. Some were lost in mysterious circumstances, like Edward V, the elder of the Princes in the Tower. But the majority of these young men died in their teens, on the brink of manhood. They represent the lost paths of history, the fascinating "what-ifs" of the houses of York and Tudor. They also diverted the route of dynastic inheritance, with all the complicated implications that brings, passing power into unlikely hands. This book examines 10 such figures, using their lives to build a narrative of this savage century. The Wars of the Roses were not just fought by men on the battlefield. There were daughters, wives, mistresses, mothers and queens whose lives and influences helped shape the most dramatic of English conflicts. This book traces the women's stories on the Lancastrian side, from the children of Blanche, wife of John of Gaunt, through the turbulent 15th century to the advent of Margaret Beaufort’s son in 1509, and establishment of the Tudor dynasty. From Katherine Swynford and Catherine of Valois's secret liaisons to the love lives of Mary de Bohun and Jacquetta of Luxembourg, to the Queenship of Joan of Navarre and Margaret of Anjou, this book explores how these extraordinary women survived in extraordinary times. "Licence brings history alive, managing to fill the outlines of people often relegated to the shadows. Filled with interesting details, this is readable as it is relatable history." Amazon review. 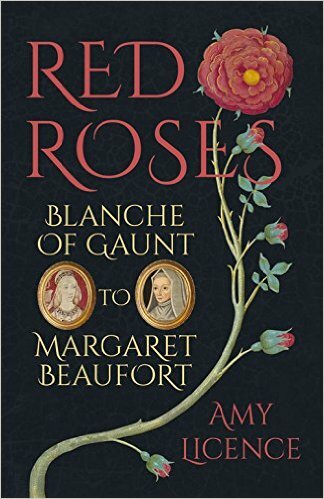 ​"Amy Licence has taken the Lancastrian Roses out of the shadows and given them life. Wives, mothers, daughters, sisters to Kings; some even declared witches for the sake of others dogmatic sport. Ms. Licence has given them vibrant life. 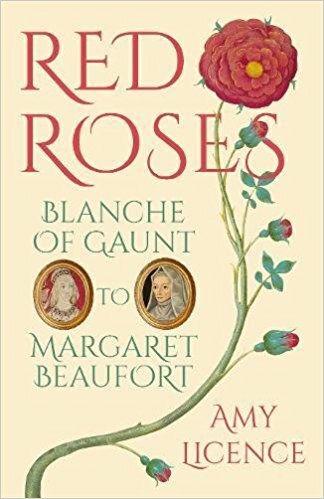 She weaves together the stories of the Red Rose and the White Swan... Where Shakespeare made the men immortal, Amy Licence has given these extraordinary women wings to fly." Amazon review. When Edward of York seized the English throne in 1461, he could have chosen any bride. For three years he had a succession of mistresses, while foreign princesses lined up to be considered for his queen. Enter Elizabeth Woodville, a widow five years his elder. While her contemporaries and later historians have been divided over her character, none deny her beauty. When she petitioned the king to restore her son’s inheritance, Edward was spellbound. Conscious of her honour, Elizabeth repelled his advances. Edward’s answer was to make her his wife. Elizabeth has attracted extreme criticism from hostile chroniclers. This enlightening book reassesses the tumultuous lives of the real White Queen and the king she captivated. 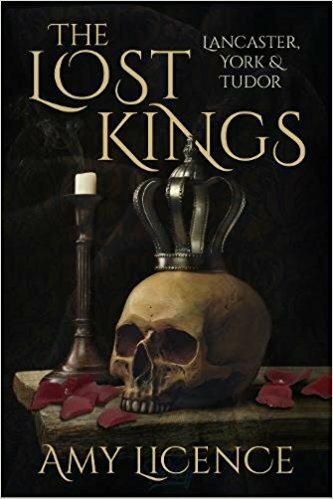 "In a wonderfully lively retelling of the lives of Edward IV and his queen, Ms Licence leaves no stone unturned." ​Author Sharon Bennett-Connolly. "For those that love history this book is a treasure. 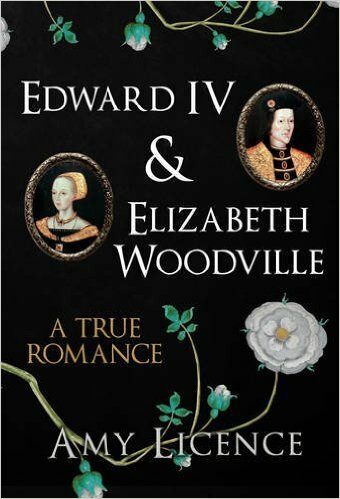 Amy Licence's new book: Edward IV & Elizabeth Woodville - A True Romance, is skillfully written; it is stirring and a joy to read. As she has done with all her other work, it is brilliantly researched and presents her readers with renewed insight on historical realities occasionally overlooked." Amazon review. ​"One of the things I like best about Amy's writing is the way she can make real persons emerge from mundane details... this book reads like a novel and Amy really makes you want to find out what happens next. She also includes a very original and interesting analysis of Edward's reign as the beginning of the Renaissance in England. You will like this book if you are at all interested in the Wars of the Roses. Go read it." Amazon review. 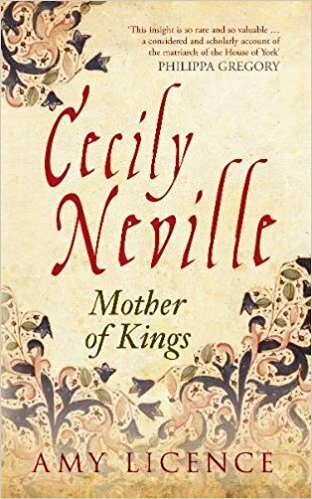 Known to be proud, regal and beautiful, Cecily Neville was born in the year of the great English victory at Agincourt and survived long enough to witness the arrival of the future Henry VIII, her great-grandson. Her life spanned most of the fifteenth century. Cecily’s marriage to Richard, Duke of York, was successful, even happy, and she travelled with him wherever his career dictated, bearing his children in England, Ireland and France, including the future Edward IV and Richard III. What was the substance behind her claim to be ‘queen by right’? Would she indeed have made a good queen during these turbulent times? 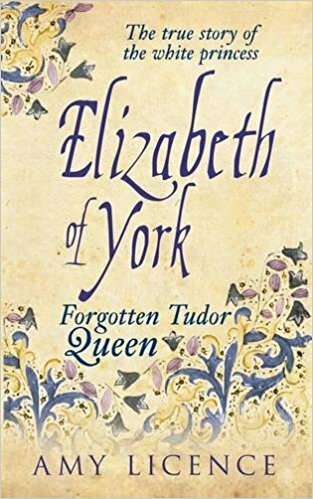 One of a huge family herself, Cecily would see two of her sons become kings of England, but the struggles that tore apart the Houses of Lancaster and York also turned brother against brother. Cecily’s life cannot have been easy. Images of her dripping in jewels and holding her own alternative ‘court’ might belie the terrible heartache of seeing her descendants destroy each other. In attempting to be the family peacemaker, she frequently had to make heart-wrenching choices, yet these did not destroy her. She battled on, outliving her husband, friends, rivals and most of her children, to become one of the era’s great survivors. Following the dramatic announcement that Richard III's body had been discovered, past controversies have been matched by fresh disputes. Why is Richard III England's most controversial king? The question of his reburial has provoked national debate and protest, taking levels of interest in the medieval king to an unprecedented level. While Richard's life remains able to polarise opinion, the truth probably lies somewhere between the maligned saint and the evil hunchback stereotypes. Why did he seize the throne? Did he murder the Princes in the Tower? Why have the location and details of his reburial sparked a parliamentary debate? This book will act as both an introduction to his life and reign and a commemoration to tie in with his reburial. "Amy Licence is one of the best historical writers out there. Entertaining, with a wealth of precise information, she writes a readable history book that is written in an... interesting style. She is not an apologist, but a responsible historian out to give as much information as she can without imposing her own point of view. I will read more of what she's done!" Author Carole P Roman. "Clean and crisp, well and comfortably written, well researched, and well balanced. 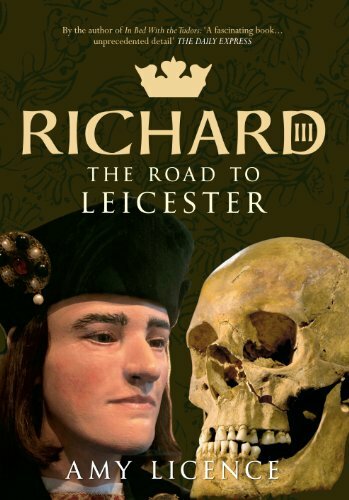 I've read 60 or more books on Richard III and his reign, but learned some new info. An excellent introduction to Richard and the controversies surrounding him." Amazon review. ​"Amy Licence is rapidly becoming one of my favourite historians. Her writing is well organized, extremely readable and offers fresh insights into the subject she’s examining. I also appreciate that she distinguishes between historical fact and speculation." Amazon review. Shakespeare's enduring image of Richard III's queen is one of bitterness and sorrow. Anne curses the killer of her husband and father, before succumbing to his marriage proposal, bringing to herself a terrible legacy of grief and suffering an untimely death. Was Anne a passive victim? Did she really jump into bed with the enemy? Myths aside, who was the real Anne? As the Kingmaker's daughter, she played a key role in his schemes for the throne. Brought up in the expectation of a glorious marriage, she was not the passive manipulated pawn of romantic legend; in fact, she was a pragmatist and a survivor, whose courage and endurance were repeatedly pushed to the limit. Her first marriage, to the young Lancastrian, Prince Edward, should have brought her riches and a throne, but when she returned to England to claim her right, she found herself fatherless and widowed. Her second marriage, to her childhood friend Richard of Gloucester, proved to be a successful and peaceful union. Then, in the spring of 1483, everything changed. 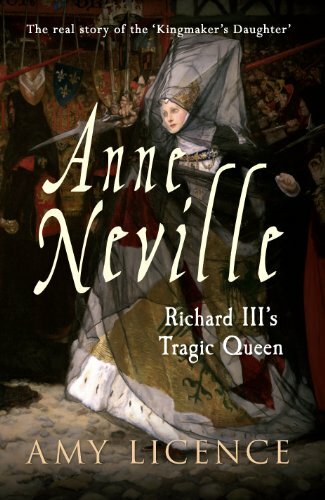 Anne found herself catapulted into the public eye and sitting on the throne beside Richard. The circumstances of their reign put an unprecedented pressure on their marriage; amid rumours of affairs and divorce, Anne died mysteriously, during an eclipse of the sun, just weeks before Richard's death on the battlefield. This fascinating and elusive woman is shrouded in controversy and unanswered questions. Amy Licence reassesses the long-standing myths about Anne's role, her health and her marriages, to present a new view of the Kingmaker's daughter. ​"Anne is often portrayed in novels as a put upon colourless character but Amy has managed to put together some extremely interesting views and facts on Anne. 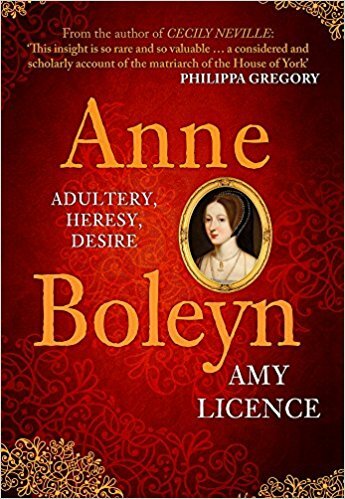 We will never know truly what type of woman Anne was but Amy is such a refreshing author in the way she seeks out history from the female perspective." Amazon review. "I highly recommend this latest Amy Licence masterpiece, with its superb prose, and intelligent interpretation of the facts. It is also well edited and as an added bonus, printed on lovely paper. More please, from this terrific author." Amazon review.